A three piece pinstripe suit gives the wearer an amazing look. A three piece suit in itself is unique attire that creates a sophisticated and more balanced look to the wearer. Men's three piece pinstripe suits is considered as one of the most outstanding attire because of the elegance and sophistication of such a suit which naturally gives the wearer an edge over others when you are amidst a great crowd. The stripes run lengthwise that helps even a short man to look taller and attractive. Nothing suits like a pinstripe for men and this really help you to feel like a professional with confidence. Pinstripe three piece suits are always considered as a beautiful and comfortable outfit since you can wear these suits comfortably to several important occasions like marriage, engagement, parties, and meetings. You can wear made to order or readymade pinstripe three piece suits and look elegant and sophisticated. There are different colors of three piece pinstripe suit that comes in different colors like navy, brown, black, gray and blue. To begin with blue pinstripe three piece suits give you a classic look. Ingrained with solid color, embellishments and lavish stripes wearing this suit is an extreme celebration. Guests and important personalities will be queuing to meet you when you are dressed in this blue three piece pinstripe suit. Compliment it with dark blue shirt, long checker design ties and other mind blowing accessories. Walk a cool dude in the office wearing this exotic apparel and captivate others with your rich smile. 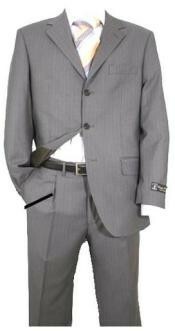 Gray pinstripe three piece suit helps you to gain supremacy and it is a color that has natural embellishments. It is definitely a must in every man's wardrobe. This color suit is another way to show some high class. It isn't suit that every man needs but it is a color than nearly any one can look if he wants to. Navy pinstripe three piece suit adds countless bonus points to your everyday wardrobe. The vibrant navy pinstripe three piece suit is the prime example of affordable extravagance. A nice alternative of your conventional dressing this suit gives you an elegant look. Navy pinstripe three piece suit gives fresh and sophisticated look with comfort and versatility. The well tailored navy pinstripe three piece suit speaks at the same level of power as a lion's roar. Blue pinstripe suits are essential for office and beyond as well. A blue pinstripe three piece suit is your deal making power suit. Men's black pinstripe three piece suit are attiring that complements the appearance of the wearer in the most gorgeous style. The men's black pinstripe suit usually features the base color of the attires in black and on that contrast colors are used to raise the stripe patterns. Use of shades like the golden, silver or red looks exceptionally stylish on the black base. The men's black pinstripe is the perfect attiring option for the formal ambiances. Aside, these suits can be wonderful attiring for the prom occasions. These days you would see men picking the pinstriped black suits as their wedding attires as well. Black pinstripe three piece suits can be used to attend any day time event or the occasions is getting staged at post-dusk time. 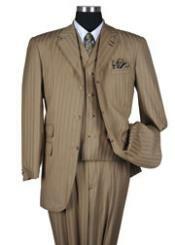 Brown pinstripe three piece suits are solid in variety of methods. This three piece pinstripe suit makes appear conspicuous and different from others. It can be worn to office and also to formal occasions. 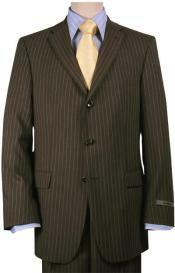 Brown pinstripe three piece suit is earthy and rich and ideal suit for a rustic looking individual. 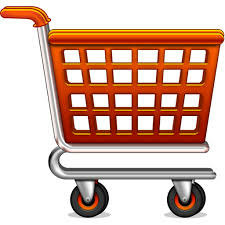 In terms of business it is almost as necessary as white or black. When it comes to the formal suits, nothing matches the diligence of the classic three piece suits. In today's time, the men's three piece pinstripe suit is considered to be the most fashionable and stylish attire for the fashion conscious men. The three piece pinstripe suit enables you to make a sophisticated yet high fashioned appearance to the formal environments. The pinstripe three piece suits are no longer exclusively associated with the world of business. In fact at times it seems even more popular than other styles. The men's three piece pinstripe suit features color contrast between the base of the suit and pinstripe design as its key aspects. The pin stripe three piece suits display a classy and a careful selection of dress and it upholds your personality as a man, who is highly fashion conscious. Fashion world keeps on changing and you have to keep pace with the shifts in the trending. The three piece pinstripe suit is a gallant answer to that quest.